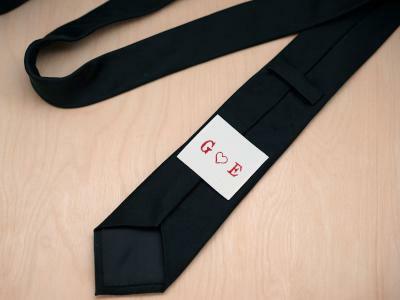 Remind the groom, father of the bride, father of the groom or groomsmen of your wedding day with a customized label that can be sewn onto the back of his tie. 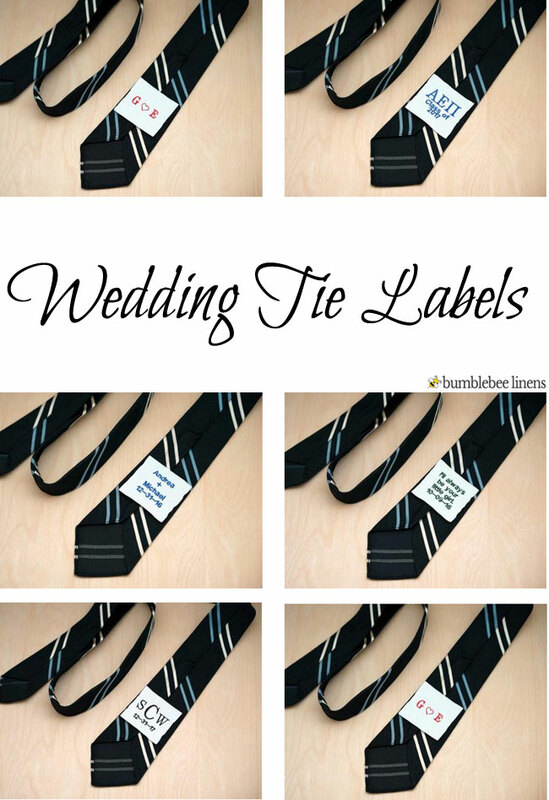 The wedding tie label makes a very special wedding keepsake because it can be embroidered in so many different ways and in a variety of thread colors. The necktie patch can be sewn by hand by yourself or your seamstress on each corner of the patch. Our tie labels measure 2" x 2" and are made from the same material as most clothing labels, damask. 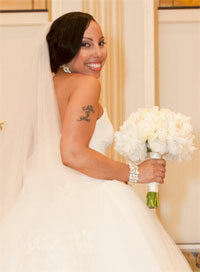 The label does have a sheen similar to satin and we have purposely made these labels soft and non-itchy against the skin.